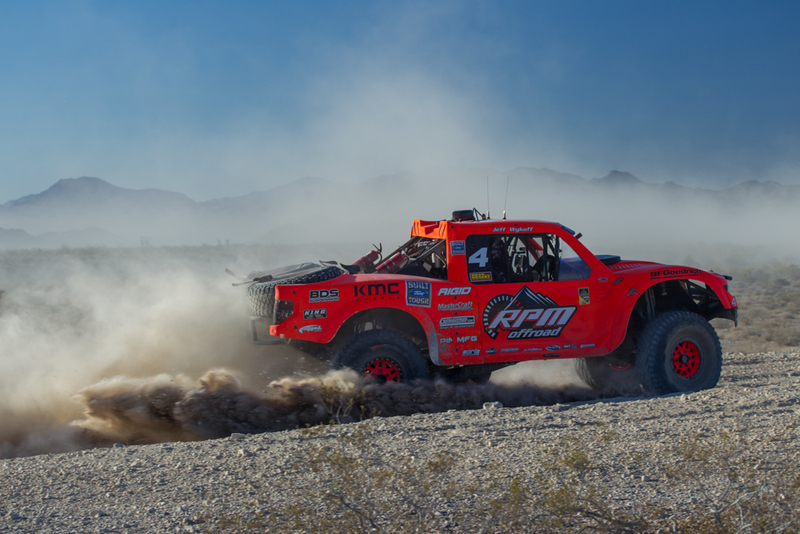 It was a storybook ending to the 2016 desert racing season for Dougans Racing Engines, whose athletes captured seven of the of the top nine spots at Best in the Desert’s Pahrump 250, including the overall win by RPM Off-Road’s #5 Apdaly Lopez. Lopez earned the top starting position after qualifying first at Thursday’s Time Trials and remained out front in the 242 mile sprint on race day. 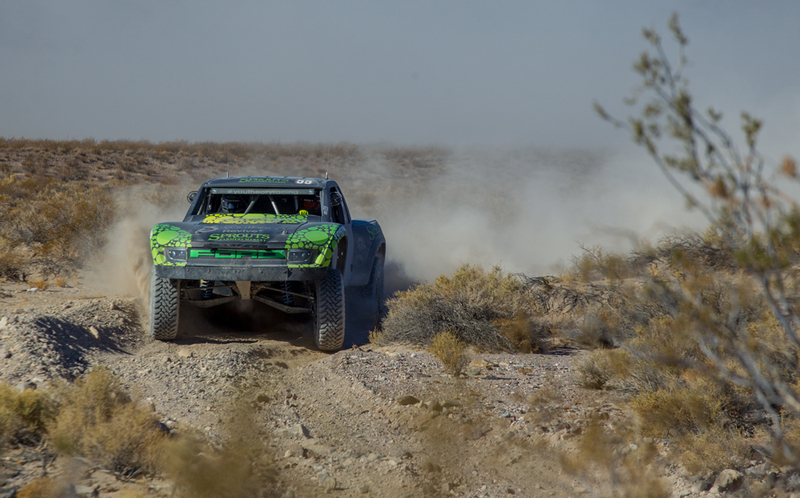 The win marks Dougans’ fifth 2016 win combined from Best in the Desert and SCORE-International, proving their drivers are the elite in the sport. 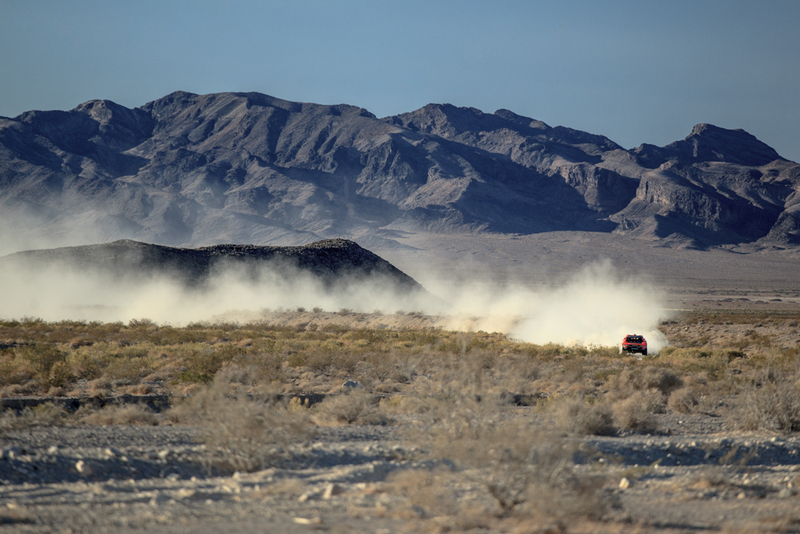 The Pahrump course was filled with all the terrain you would expect from a race in the badlands of Nevada and a strong wind on race day aided the racers behind Lopez with clean air. However Lopez, #35 Jason Voss and Dougans racer #41 Justin Lofton quickly separated themselves from the rest of the pack by RM 12. The order was the same through Pit 5 at RM 155, this time with Voss hot on Lopez’ heals. At the finish line, however, it was Apdaly finishing first just +00:00:38 ahead of second place, Jason Voss. 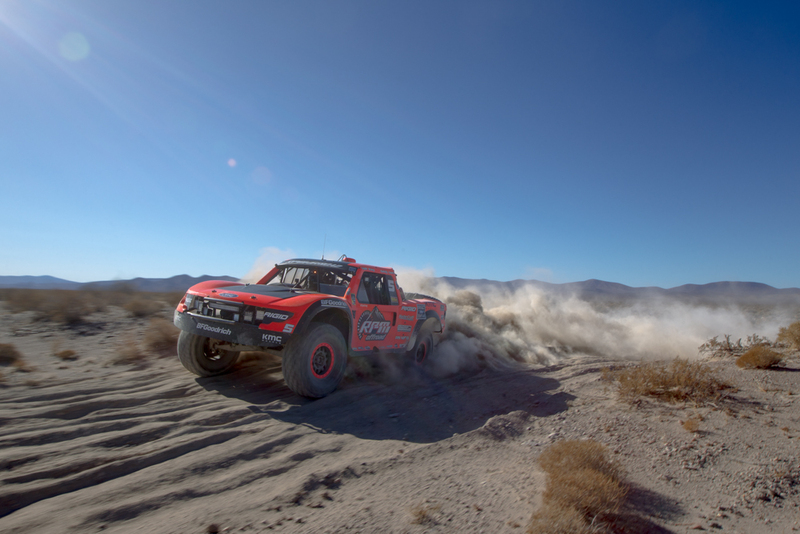 “I am so proud of all my team and crew who came to this race after the Baja 1000 with the same truck. 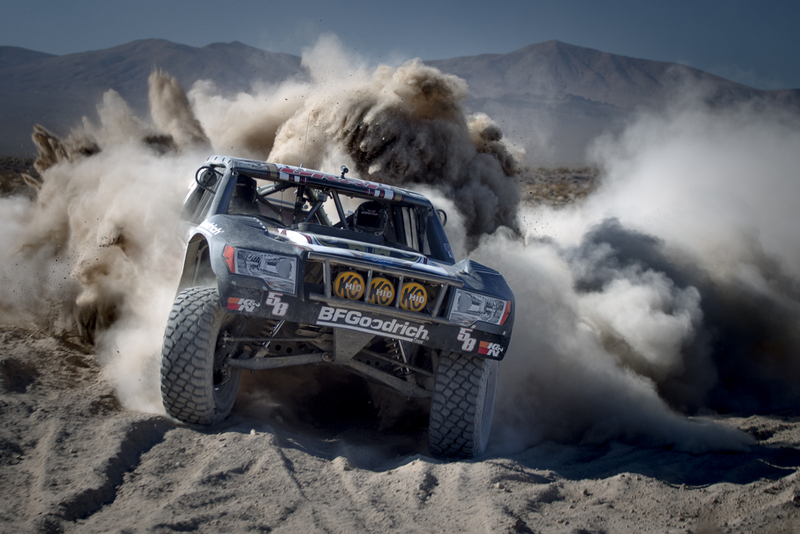 New tires and an oil change was the only thing we did to the truck and to take the win is amazing,” said Lopez at the finish. #58 Tracy Graf stuck to his game plan heading in to the Pahrump 250 and secured a second place finish in the overall points standings for the 2016 BITD season. Graf got one flat at RM 22 that set him back a few minutes but other than that had no issues all day to take sixth place overall. “Thank you to all the team members of Graf Racing for a tremendous year and thank you to all of our sponsors and suppliers that helped us have a great 2016,” commented Graf. #41 Justin Lofton fell back to finish fourth place overall after suffering a few flat tires. 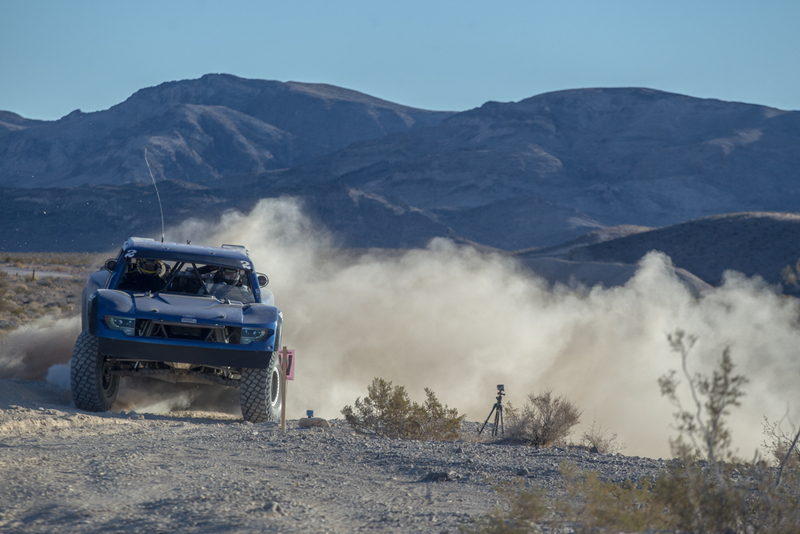 That’s all it takes in a 250 mile race but Lofton is already setting his sights on 2017, where he could potentially be the first racer in history to three-peat The Mint 400. 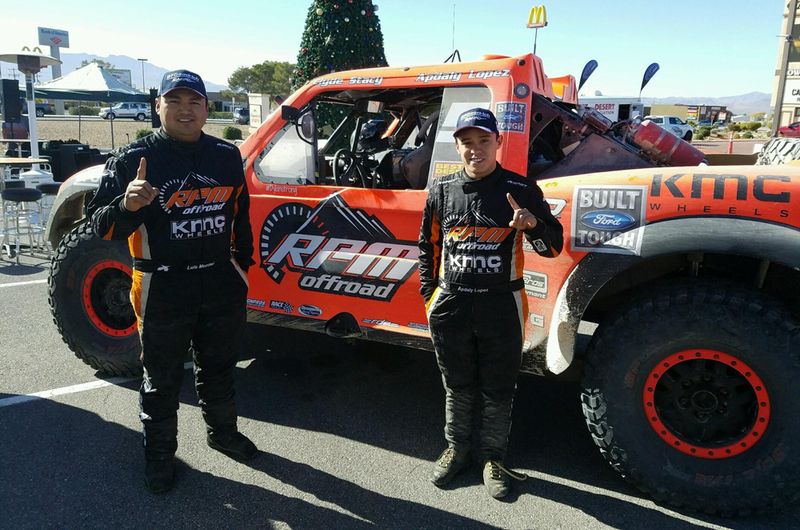 RPM Off-Road’s #4 Justin Matney took the final spot on the podium and finished +00:07:29 off Lopez’ winning pace. Matney climbed all the way from fourteenth position on the track after his qualifying run left him out of the top ten. 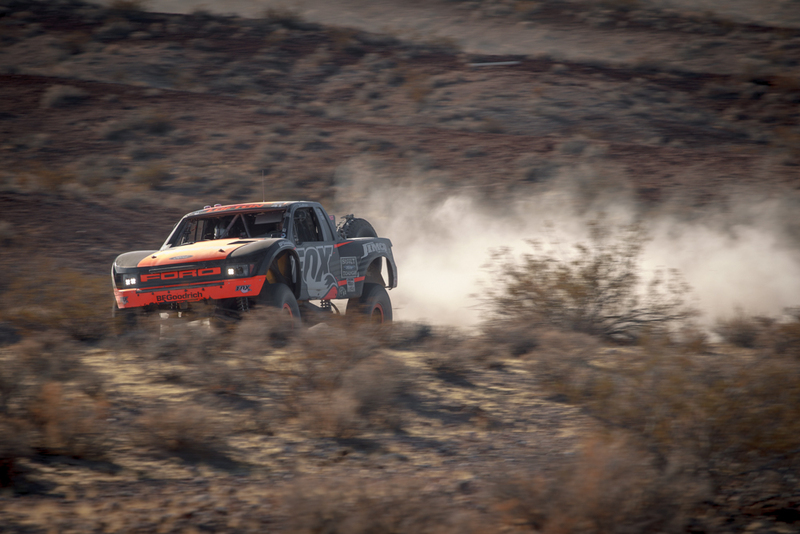 Matney’s third place finish put a second RPM Off-Road truck on top the podium. 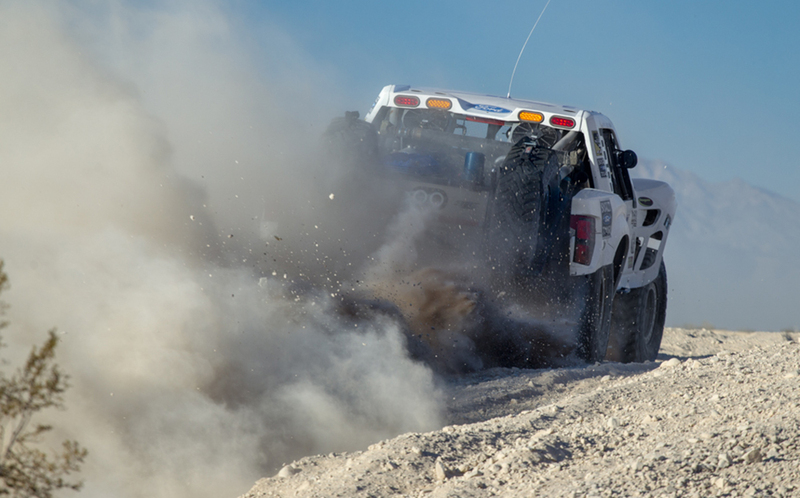 Jeff Geiser and Tony Smiley finished fifth overall in the second race in the brand new #2 Geiser-built Trick Truck. 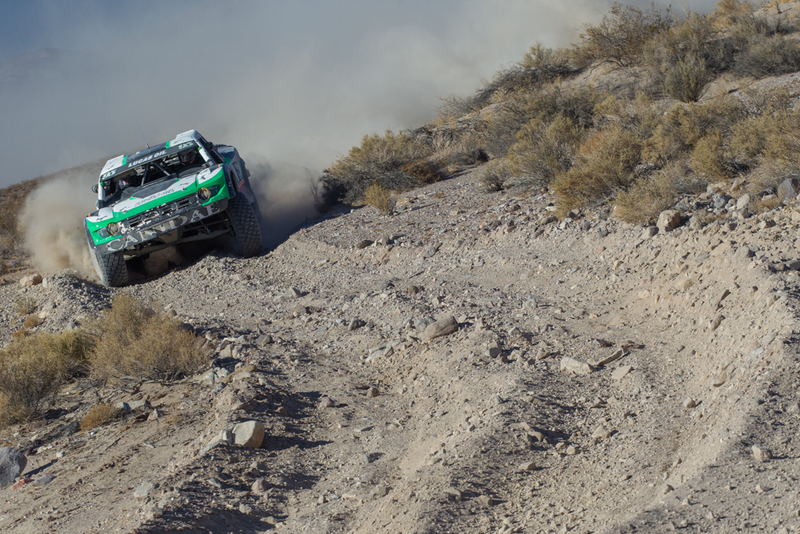 Geiser qualified sixth and finished +00:12:22 off Lopez’ winning pace. #38 Eric Hustead and #55 Anthony Terzo of YouTheory Racing finished 8th and 9th, respectively, securing two more spots for Dougans Racing Engines in the Top 10 overall. #95 Scott Whipple, #60 Cole Potts and #Ryan Poelman finished 13th, 14th and 16th in class, while #27 Steve Olliges finished 17th.